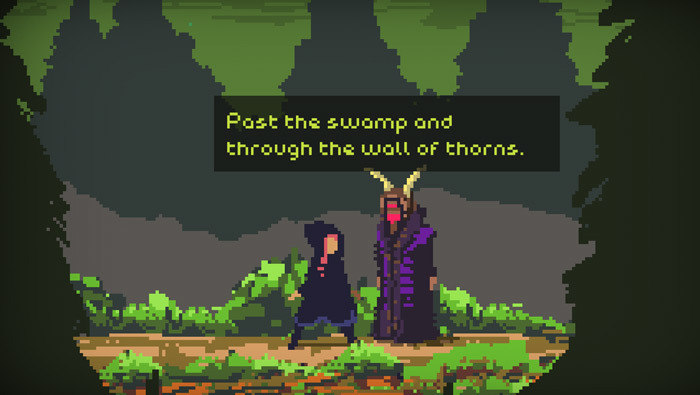 "A really will written pixel art story driven adventure"
Takume is a short pixel art story adventure game that is very beautifully written and very enjoyable if at times somewhat cryptic. You play as Takume who is going deep in to the woods to try and find her sister and will meet many different characters along the way who will give you clues and maybe items that will help in the future, although the graphics are very low resolution the real start here is the intriguing story line which has a rather emotional but not fully explained ending the alludes to something much more tragic however perhaps setting up for a second part to the game? Anyone who enjoys good writing and a unique story line should very much enjoy this game but it would be great if there was a bit more to it and it took a little longer as it can be completed in just a few minutes and with a game as intriguing as this it really does leave you wanting more. We really hope the developers go back to this and expand it somewhat but as it’s free game not too many complaints can be had and it’s definitely worth playing. You can download Takume here for free.